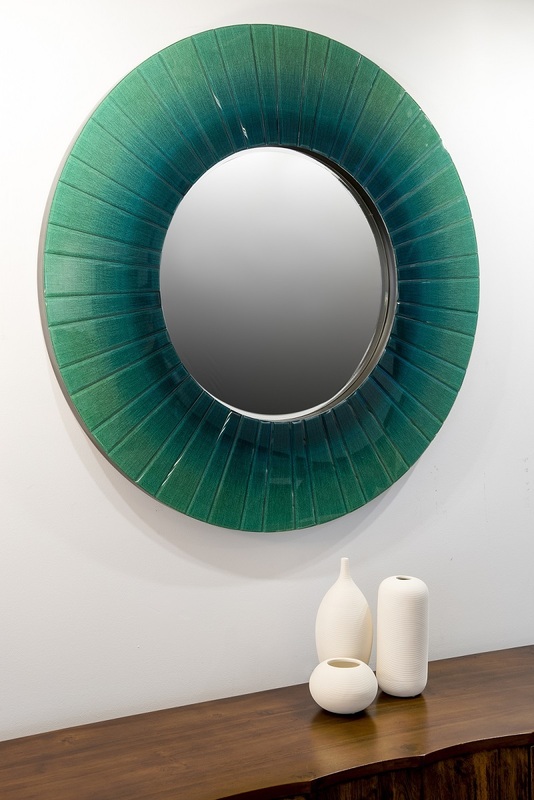 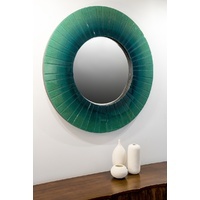 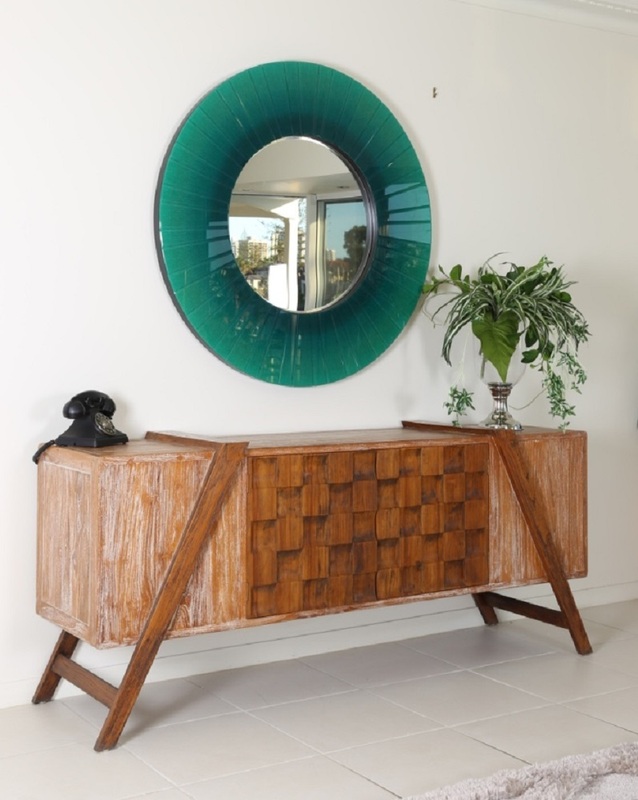 Stunning Emerald glass frame mirror. 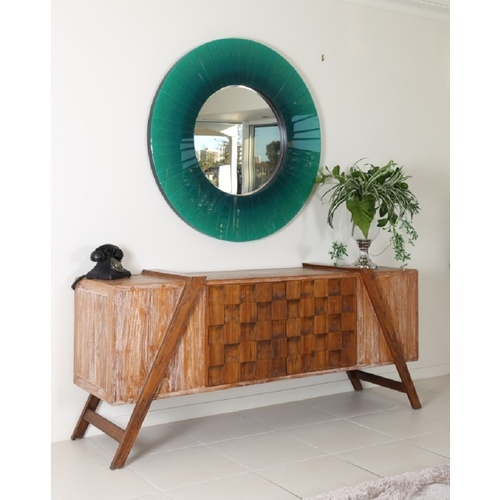 Black outer and inner edge small green glass sections have bevelled edges. 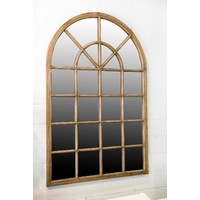 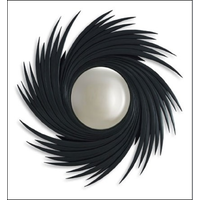 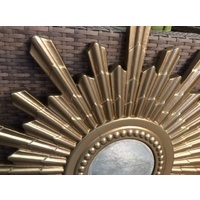 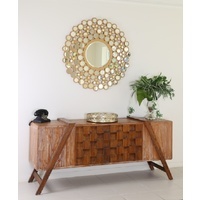 Could be used for vanity or entrance a truly lovely mirror that will impress.